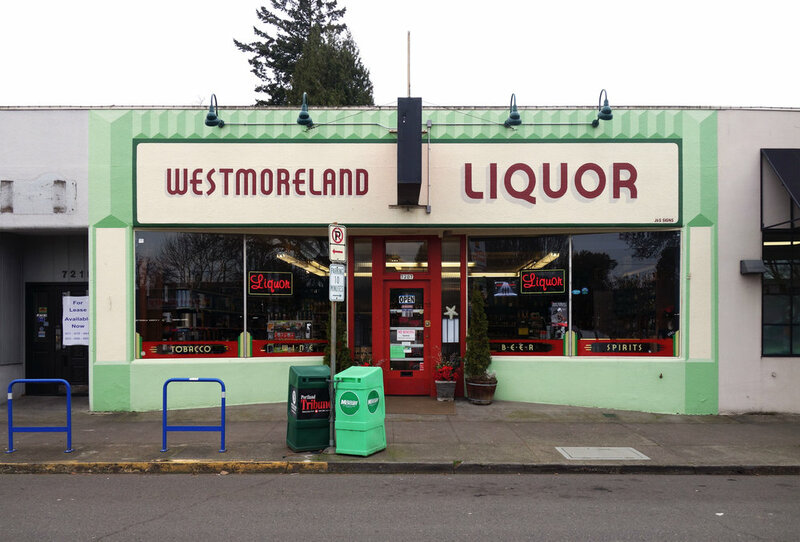 We designed the lettering for this sign at Westmoreland Liquor in SE Portland. After painting the lettering portion, we painted faux-dimensional architectural details on the flat stucco exterior of their building. 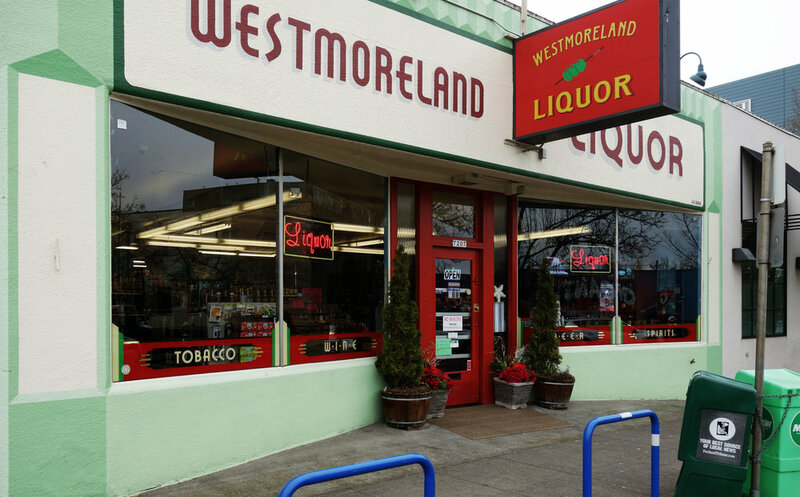 The designs for the architectural elements were provided to us by the owners of Westmoreland Liquor. Scroll to the bottom to see a photo of the facade before painting! 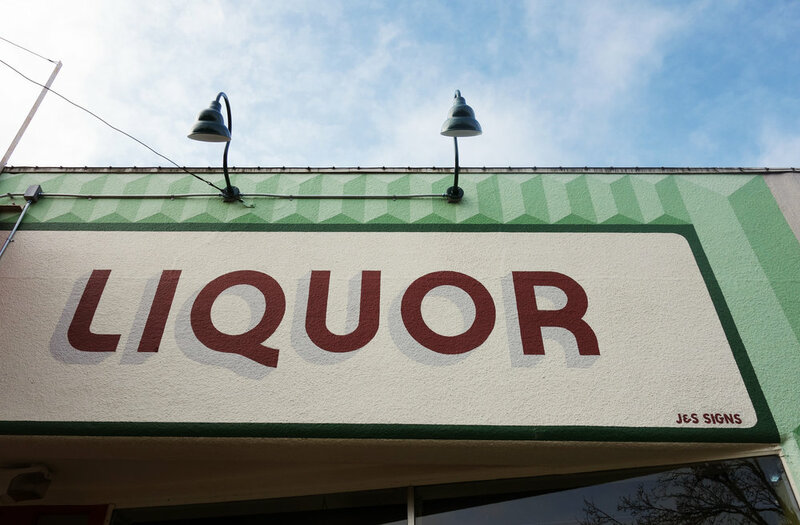 We designed and painted some valances on the bottom of the storefront windows to showcase items sold at Westmoreland Liquor. We included 23k gold gilded accents on the valances. We designed the valance signs to relate to the design of the building facade.